GREAT MILES 63,605! EPA 22 MPG Hwy/16 MPG City! 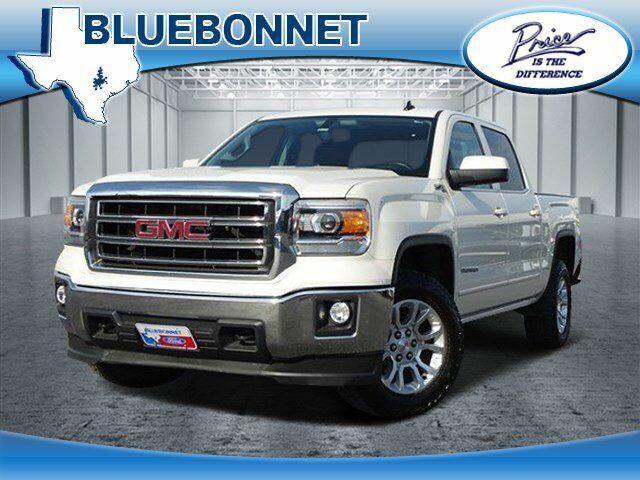 Nav System, Heated Seats, Hitch, AUDIO SYSTEM, 8" DIAGONAL COLOR TOUCH SCREEN NAVIGATION WITH INTELLILINK, AM/FM/SIRIUSXM/HD, 4x4, Onboard Communications System, CD Player READ MORE! SLE VALUE PACKAGE includes (AG1) driver 10-way power seat adjuster with (AZ3) seats only, (BTV) Remote vehicle starter system, (T3U) front fog lamps, (UG1) Universal Home Remote, (C49) rear-window defogger, (KI4) 110-volt AC power outlet, (CJ2) dual-zone climate control and (Z82) trailering equipment, ENGINE, 5.3L ECOTEC3 V8 WITH ACTIVE FUEL MANAGEMENT Direct Injection and Variable Valve Timing, includes aluminum block construction with Flex Fuel capability, capable of running on unleaded or up to 85% ethanol (355 hp [265 kW] @ 5600 rpm, 383 lb-ft of torque [518 Nm] @ 4100 rpm; more than 300 lb-ft of torque from 2000 to 5600 rpm), AUDIO SYSTEM, 8" DIAGONAL COLOR TOUCH SCREEN NAVIGATION WITH INTELLILINK, AM/FM/SIRIUSXM/HD with USB ports, auxiliary jack, SD card slot, Bluetooth streaming audio for music and most phones, hands-free smartphone integration, Pandora Internet radio and voice-activated technology for radio and phone, SUSPENSION PACKAGE, OFF-ROAD includes Z71 chrome side front fender emblems, monotube Rancho brand shocks and (K47) air cleaner, (JHD) Hill Descent Control, (NZZ) underbody shield on 4WD models and (V76) recovery hooks on 2WD model Includes (G80) locking rear differential on 2WD models, (UHN) 18" x 8.5" (45.7 cm x 21.6 cm) bright machined aluminum wheels. SLE CONVENIENCE PACKAGE includes (JF4) power-adjustable pedals, (UD7) Rear Park Assist and (C49) rear-window defogger, TRAILERING EQUIPMENT includes trailer hitch, 7-pin and 4-pin connectors (Includes (G80) locking rear differential on 2WD models.